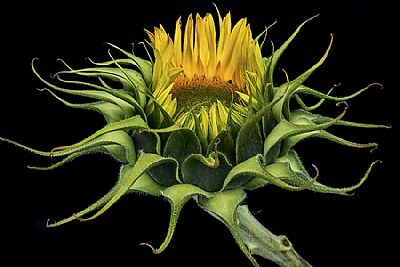 About Part of a series on sunflowers I worked on last summer and fall. Thanks for looking, Mike. A fabulous floral macro shot. Superb color, detail and presentation. Congrats on your award. Gorgeous detail and the dynamic and natural feel rendered by the flowing lines of the flower are wonderful! Very strong, glowing color...An exceptional image indeed...Excellent! Like the others in this series, I love this image. I am mesmerised by the colour and the black background. Congratulations for so well deserved POD. Great dramatic image Mike. Nicely lit.